Psychology is the science of understanding why people do what they do. As a business owner or marketer, you are constantly trying to know what makes your target consumers tick and what you can do to influence their behavior and purchasing decisions. In other words, you are engaged in a psychological relationship with them. 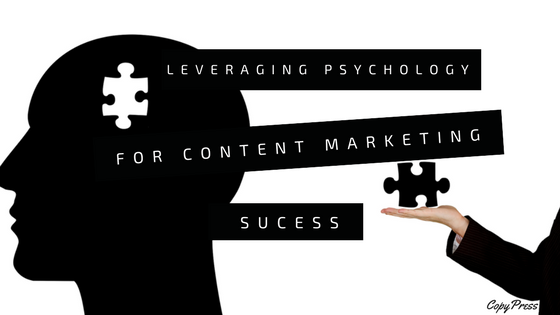 If you want to influence your customers more effectively, you should consider incorporating psychology into your content marketing strategy. 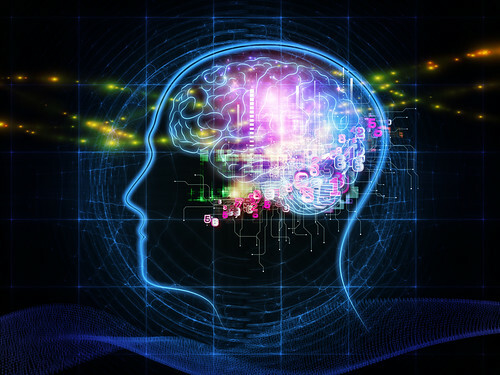 Explore the following six psychological principles that will give your content marketing a boost. The information gap refers to the gap between what someone already knows and what the person wants to know. According to George Loewenstein, the creator of the theory, a gap in knowledge will cause people to take action to learn what they want to know. This theory can be used to make your customers more interested in your business. In content marketing, the easiest way to create an information gap is to use attention-grabbing headlines. Choose topics that can pique the interest of your audience. Draw them in with an intriguing headline and give them the answer for free, which connects with the reciprocity principle (see more below). Reciprocity is something that happens many times in normal life. It is the act of responding to a positive action with another positive action. For example, if you are friendly to someone, the principle of reciprocity suggests that the individual will be friendly to you as well. You can apply this psychological theory by giving your customers something for free or helping them solve their problems. In return, you can expect them to become more loyal. Content marketing provides an excellent opportunity for you to use the reciprocity principle. You can easily create content that is beneficial and free to use. Some examples of content that can generate positive response from your customers include articles, blog posts, free e-books, online webinars, and informative podcasts. If your customers feel that they can get something beneficial from you without spending money, they are more likely to buy from you and remain loyal to your business. The social proof theory suggests that people have the tendency to be drawn to a product that other people like and trust. It revolves around the notion that an individual is likely to follow the actions of others because the person does not know what to do and believes that a large group of people are collectively better informed. When buying products, the social proof principle is evident in the way people rely on the opinions of others to make purchasing decisions. Such opinions can come in the form of reviews, shares, or endorsements. If someone sees that many people have posted comments on your blog posts and shared them with their friends, that individual may be more likely to do the same. You can take advantage of the impact of social proof by encouraging your readers to write reviews, leave comments, and make social mentions. This activity will put your brand in a positive light and make your audience trust your business more. In addition, make sure your blog has social-sharing buttons with a counter showing the number of likes or shares it has received. The fear of missing out causes human beings to place greater value on scarce items and less value on easily attainable objects. When people are worried that they cannot have something because of limited quantity or time, they will psychologically want it more. Also, they will be more willing to pay a higher price for it. With that idea in mind, you can get better results from your content marketing efforts by making your customers think that your content is not easily available and therefore valuable. For example, you can offer a free download of your e-book for a limited time only or let your customers know that they can read a new piece of content on your website before anyone else. The loss aversion theory states that human beings prefer to avoid losses than acquire gains. It suggests that the psychological impact of losses is twice as powerful as that of gains. To use the loss aversion principle in your content marketing, you need to know what makes your customers respond. If you know what they are afraid of losing, you can use the right tone and words to convince them to take action. You need to show them through your content that your products or services can help them prevent the loss of something important, such as money or time. Emphasize the benefits of your products and explain how they can alleviate your customers’ specific reservations and fears. This principle proposes that people tend to become less satisfied when they have too many choices. Human beings often have difficulty making important decisions. When they have many choices, they may be afraid that a different option may later turn out to be a better choice. As a business owner or marketer, you have to give your customers more options in order to meet their needs and preferences. However, offering too many options can have a negative impact. The same outcome can happen in content marketing. You can put your customers off by giving them too much content. Make sure your content is clear and concise and does not overwhelm your readers. After they have finished reading your content, you can give them two different options, reading something similar or sharing it. Avoid offering too many routes. The use of psychology enables you to add a touch of sophistication and stealth to your content marketing strategy. While it may seem nothing out of the ordinary to your customers, psychology-based content marketing is actually carefully crafted to influence them in specifically intended ways. It helps you gain a better understanding of your audience, put your goals into perspective, and helps you to achieve greater content marketing success.